Saving the Mill is a story of determination, resilience and recovery in the face of almost unimaginable disaster. On March 11, 2011, one of the largest earthquakes in human history struck northeastern Japan, triggering a tsunami that devastated surrounding coastal areas. Nippon Paper Industries’ Ishinomaki Paper Mill and its 1,500-some employees were among the disaster’s many victims. Inundated by a two-story-high wall of water and littered with uprooted houses, cars and other debris, the factory was forced to shut down completely. The damage was so severe many employees feared it would never open again. Meanwhile, outside the factory gates, the city of Ishinomaki had no power, no gas, no water, and was grieving the death of over 3,100 residents. It was amidst these grim conditions that factory chief Hiromi Kurata announced the mill would be producing paper again in just six months. 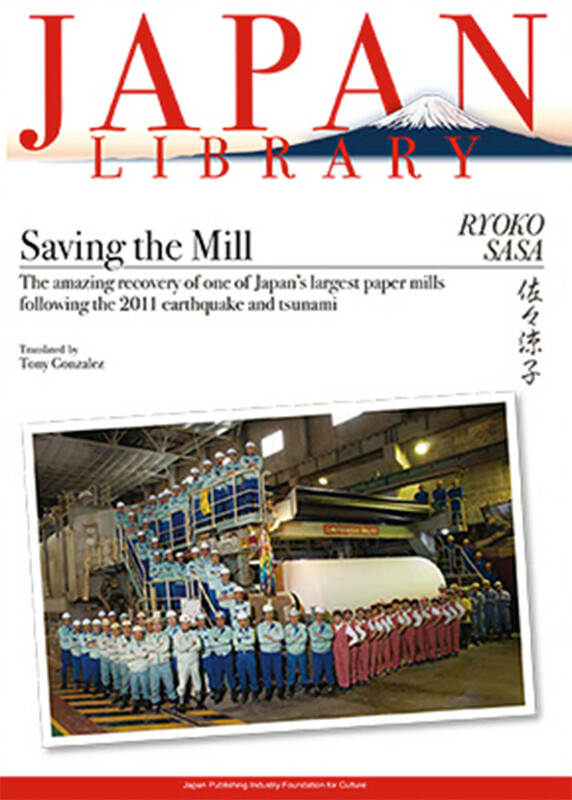 He felt he had no choice: NPI provided around 40 percent of the paper used by Japan’s publishing industry, and the Ishinomaki mill was its core production facility. Losing the plant would have been a devastating blow not only to the town, but to the company and the publishing industry as a whole. Told through the eyes of the men and women who revived the plant against all odds, Saving the Mill is both a gripping account of a disaster that made headlines around the world and a window into a rapidly changing industry. As in many countries, Japan’s paper-based publishing industry is under threat from digital technologies, and NPI is no exception. Journalist Ryoko Sasa explores these issues as she recreates the days and months after the earthquake in harrowing detail. Among her memorable cast of characters are Kurata, who leads the recovery with unwavering determination; Hiroyuki Suzuki, a labor union representative who loses both his grandparents to the tsunami; Yasuo Kimura, the company baseball coach who struggles to make his team a symbol of recovery; and Noriaki Sato, the book-loving, joke-cracking engineer who oversees Machine No. 8, the first machine at the mill to come back online. Together, their story is a monument to the indomitable spirit of the Japanese worker. Ryoko Sasa became a teacher of the Japanese language after graduating from Waseda University’s School of Law and is currently a nonfiction writer. Her works include Kakekomidera no Gen-san [Gen-san, a Man Who Devoted Himself to an Urban Shelter] in 2011. 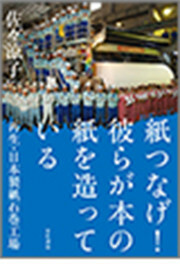 She was awarded Shueisha’s Takeshi Kaiko Award for Nonfiction for her book Enjeru Furaito [Angel Flight] about international funeral repatriation teams.